We have a full sound and iPod connectable sound system on both floors, two cocktail bars, heated garden, Wi-Fi, screen, experienced cocktail bartenders, friendly staff and owners, and security. Canapés and bowl food are available for 30 guests and above. 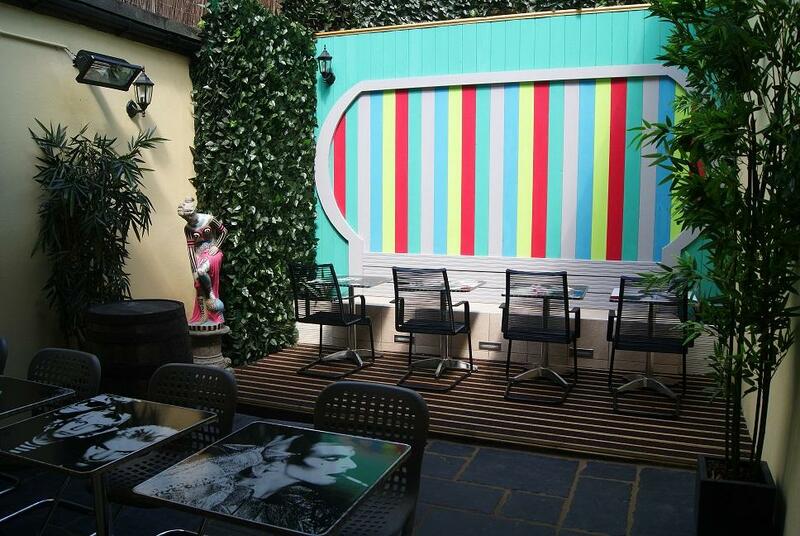 BBQ’s are available in the summer when hiring the whole venue or lounge bar exclusively. We work with only approved caterers and we are happy to provide menus on request. If you want something more casual, we have a wood fired pizza menu for you to tuck into. We can offer Prosecco, Champagne or cocktail drink receptions for your guests arrival. Each bar is stocked full of international spirits and our bar team are on hand to produce an array of irresistible, hand-crafted cocktails that are sure to leave you grinning. Minimum spends apply and varies depending on the day of the week. There's no hire fee or service charge. A private room with its own cocktail bar. 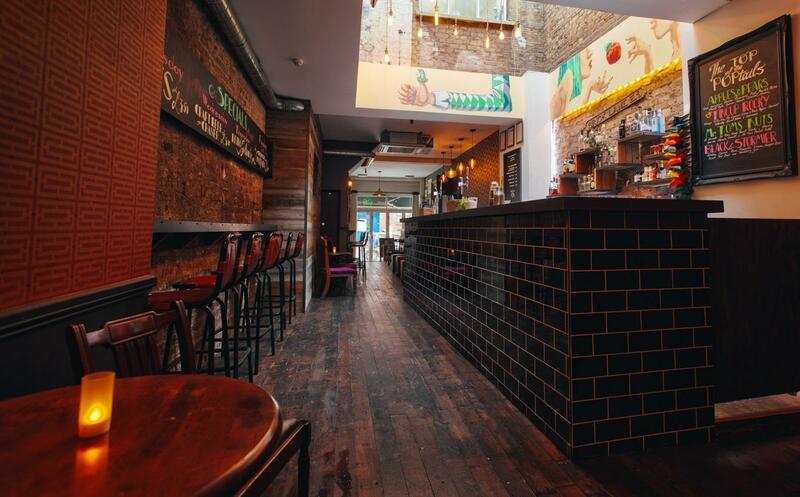 We are an independent, fun cocktail bar in East London offering private party venue hire to celebrate birthdays, leaving parties, engagements and corporate events. 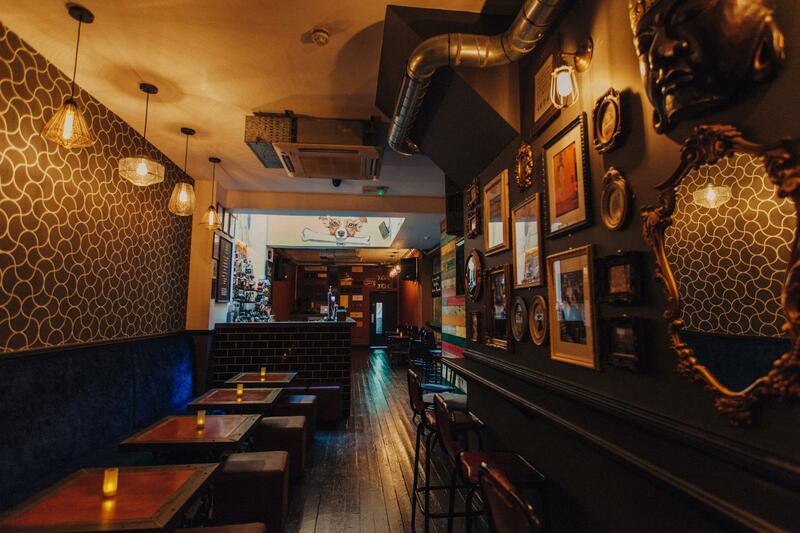 We’ve hosted a range of parties where you can arrange private bar hire of the whole venue or just one bar for your guests to party the night away. We will be available to assist you every step of the way to ensure your event is a success. We are just 5 minutes from Aldgate East tube with close proximity to Brick Lane, Spitalfields, Shoreditch and the City. 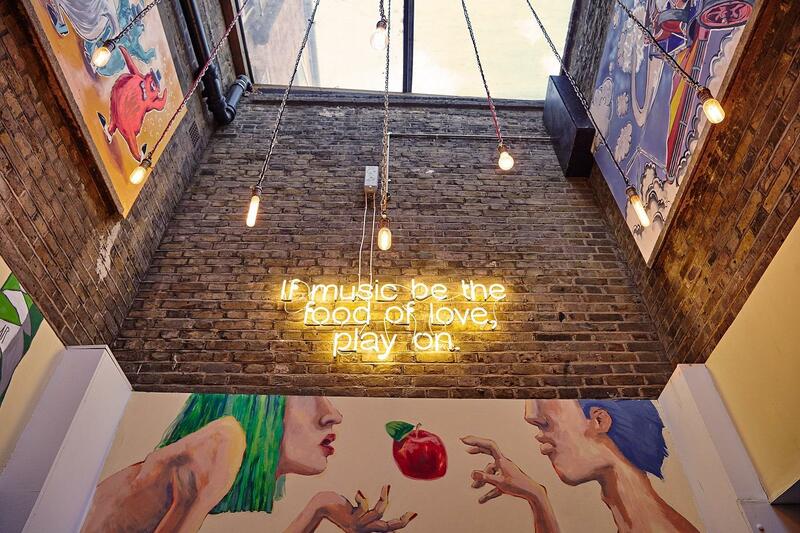 We have wood fired pizzas, cocktails, craft beers and wines to cater for all tastes, and an atmosphere packed with East London energy.